Abstract: I will describe three general approaches we take to understand how environmental conditions shape the abundance, diversity, and distributions of marine phytoplankton. We developed an underway flow cytometer, called SeaFlow, to create high-resolution measurements of the abundance, size and type of the smallest phytoplankton that dominate open ocean communities. We use this data to estimate the distributions and division rates of phytoplankton across thousands of kilometers of ocean basins, highlighting the fine-scale impacts of environmental conditions. We combine these studies with genomic approaches in open ocean field studies to document how phytoplankton perceive the environmental changes. Our ultimate goal is to understand how microbial communities will respond to and will help shape future ocean conditions. 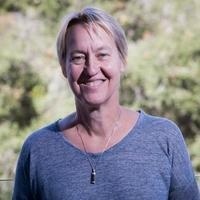 Ginger Armbrust is the Director of the School of Oceanography. Phytoplankton are the main focus of research in the Armbrust lab. These organisms are responsible for about 50% of the total amount of photosynthesis that occurs on our planet. They play a critical role in the global carbon cycle and ultimately in global climate. Because much of the organic carbon generated by phytoplankton is used by bacteria, we also study bacterial/phytoplankton interactions. About this Series: Weekly talks given by leading thinkers in the areas of geology, geophysics, geobiology, geochemistry, atmospheric science, oceanography, climatology, and planetary science. Lectures take place on Wednesdays from 3:45pm in MIT Building 54 room 915, unless otherwise noted.